"I believe you protected us from cancer"
We were getting ready to settle on our new condo at 4pm on Monday. We just had a feeling, so we called you at 10:30pm Sunday night to ask if you'd go take a look at it to make sure it was "feng shui" compliant. You met us at the condo the next morning. I was shocked when you advised us not to settle because you said the energies in this condo had the potential to cause blood cancer. Rupal, I was very upset, and although we were heartbroken about letting the beautiful condo go, we took your advice. A few days later, I went back to see if any other condos were for sale in the same building. I met a man who lived on the 4th floor directly over the condo we'd almost bought. He told me how he liked living here. But he also told me that his enjoyment was tempered by the fact that he had just been diagnosed with blood cancer. I was stunned -and no longer upset about following your recommendation not to buy the condo. How can Classical Feng Shui and Vaastu improve my financial situation? How do Feng Shui and Vaastu really affect my life? How can Feng Shui or Vaastu help me? 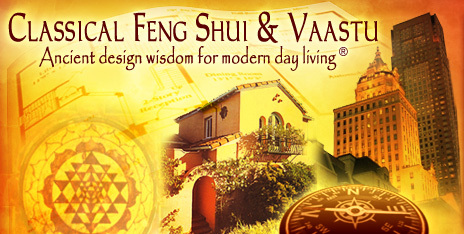 What are some of the benefits of a Feng Shui or Vaastu Residential Consultation? When can I expect to see results after a consultation? Is this a passing fad or just some New Age superstition? Do I have to believe in this to make it work? When is the best time for a Feng Shui or Vaastu consultation? How is Classical Feng Shui different than other types of Feng Shui? Why can't I just do my own Feng Shui or Vaastu? There are so many books on the market. How do I find a good Feng Shui or Vaastu Consultant? Where can I find and activate my "love" corner and "wealth" corner? How do I know if I have good Feng Shui or bad Feng Shui? Q: How can Classical Feng Shui and Vaastu improve my financial situation? Everyday you are being influenced by a multitude of unseen energies coming from the buildings and environment in which you live and work. These energies are either auspicious (enhancing your prosperity) or negative (bringing about misfortune). By adjusting your surroundings, you can activate auspicious energies to bring you money luck as well as protect you from misfortune. It may sound a little odd to the Western mind, but remember that for thousands of years, Feng Shui was a heavily guarded secret that kings and emperors used to protect their power and wealth. There was fear that if the "common" man came into the knowledge of Feng Shui, he could use this ancient science to change his fortunes and elevate himself to the level of kings. Q: How do Feng Shui and Vaastu really affect my life? In Asia, it is believed there are 3 types of luck that rule the fortunes of man - heaven luck, earth luck and man luck. Each accounts for about 1/3 of our luck. Heaven luck is fixed. It's our destiny or fate. It can also be likened to our karma. While we have no control over our Heaven luck, we can still improve our circumstances and create a life of abundance if we focus on the luck that we can control. Man luck is what we achieve through our own hard work, endeavors, and good deeds. We can also control man luck by controlling the power of our own attitude and mind. And Earth luck is simply the Feng Shui or Vaastu of our environment (environmental influences). Where we live and work directly influences the luck and opportunities that come our way? Earth luck is the easiest to change by manipulating environmental influences to attract good opportunities. Even though Earth luck is just 1/3 of your life, using Feng Shui or Vaastu to attract good Earth luck can have a profound impact on the course your life takes. Even if you are born into situations that place you at a disadvantage, you can use Feng Shui & Vaastu and your own man luck to help you attain a life of true abundance. Q: How can Feng Shui and Vaastu help me? An assessment by an authentic Classical Feng Shui practitioner provides specific guidance on exactly how to change your environment to achieve your goals, remedy an existing problem or further enhance your health, wealth and relationships. In the hands of an expert, both Classical Feng Shui and Vaastu can also forecast what may arise in the future, giving you advance warning you can use to avoid problems and seize opportunities. Q: What are some of the benefits of a Feng Shui or Vaastu residential consultation? Feng Shui and Vaastu are used to create business and home environments that support the inhabitants. By neutralizing negative energies, magnetic pull and other unseen forces, Feng Shui and Vaastu have been used to promote overall health and well-being. As examples, these ancient sciences can be used to help clients advance careers, find soulmates, harmonize relationships, conceive children, sell homes, solve legal problems, get out of depression, remove adultery, heal illnesses, increase academic performance, improve relationships, provide clearer decision-making and counteract negative influences. Q: What are some of the benefits of a Feng Shui or Vaastu business consultation? Classical Feng Shui and Vaastu are so highly regarded in many parts of Asia that businesses consider Feng Shui and Vaastu consultants as important as attorneys, accountants or other advisors. Feng Shui consultants help businesses create positive, productive environments that support both the staff and the growth of the business. By identifying - and neutralizing - negative energies, consultants help businesses avoid costly problems such as high turnover, low morale, lawsuits and workplace accidents. By optimizing positive energies, the Classical Feng Shui consultant helps business enjoy long-term success with continuing success in attracting new clients, winning negotiations, and keeping cashflow robust and dependable. Q: When can I expect to see results after a consultation? Depending on the interaction of energies that exist between the house and the individual, it's possible to see results almost immediately. Some clients see results quickly -- within less than a week; others may see results within 6 months. A skilled Classical Feng Shui consultant, however, will take timing into account and advise you not just on how, but also on when you are most likely to achieve your goal. The key is to follow the recommendations promptly... and exactly. Q: Is this a passing fad or just some new age superstition? Unfortunately, inexperienced practitioners and popularized versions of Feng Shui have led many to view this ancient science as a frivolous fad. Classical Feng Shui and Vaastu, however, have been around more than 6,000 years -- secretly used by emperors and kings to safeguard their wealth, power, and well-being. Neither is this superstition. These are environmental sciences grounded in numerical patterns and mathematical calculations that assess the physical, directional, and spatial energies at play in us and in our environment. Q: Do I have to believe in this to make it work? You don't have to believe. You DO have to follow the recommendations of your classically trained Feng Shui practitioner. That's all it takes to see results. And when you see those results, you'll most likely become a believer, too! Keep one thing in mind - you don't have to believe in the law of gravity to make it work. And just because you can't see something, doesn't mean you're not affected by it. Consider your thoughts, for instance: they can be changed in an instant, which then changes how you feel, thus bringing you back into balance. Like changing your thoughts, a Feng Shui expert can change invisible energies in your environment by adjusting them and advising you on how to interact favorably with them. Q: When is the best time for a Feng Shui or Vaastu consultation? Any time you are experiencing problems or want help improving your life or attaining a particular goal. In addition, it's always wise to consult a Feng Shui or Vaastu expert when you are planning new construction, remodeling, or changing your residence since this gives you a chance to maximize auspicious energies and avoid mistakes that can activate negative energies. Q: How is Classical Feng Shui different than other types of Feng Shui? Authentic or Classical Feng Shui has been around for thousands of years in Asia but came around to the west about 20 years ago. The most popular version of Feng Shui being practiced in the west is a New Age version that has become so over-simplified from science into interior decorating, color therapy, clutter clearing, and placing Chinese cultural objects to ensure good luck. The New Age version is not only frivolous, it is in many cases dangerous. (See our free report, "The 5 Biggest Feng Shui and Vaastu Mistakes Most People Make... And How to Avoid Them"). By contrast, Classical Feng Shui applies well-defined scientific principles and energy theories to individual situations. Instead of dangerous "one size fits all" recommendations, clients receive personal analysis of their unique interaction with their specific environment. That's vital, because every structure has its own energy map that determines how it will interact with an individual over time. To assess this, Classical Feng Shui uses a sophisticated compass and complex mathematical formulas and calculations to examine both the physical environment (location and orientation of the building and its relationship to surrounding environmental features) and the quality of energy affecting a building in a specific time period. And by doing both, Classical Feng Shui helps you avoid making mistakes and missing valuable opportunities. Q: Why can't I just do my own Feng Shui or Vaastu? There are so many books on the market. Yes, there are hundreds of Feng Shui and Vaastu books out there. But BE CAREFUL: virtually all these books offer overly simplified guidance and "one size fits all" recommendations. Feng Shui should not be confused with interior design, color therapy, or clutter clearing. It is far too powerful. That's why it is far too risky to "play" with the principles yourself. Rupal Turner is regularly contacted by people who have created unfortunate situations for themselves because they applied seemingly harmless feng shui tips. In authentic or Classical Feng Shui, there simply is no one-feng-shui for all. Real Feng Shui knowledge will never be published for mass consumption. The calculations are too complex, the applications require too deep an understanding, and the authentic knowledge remains preserved in sacred books cloistered in Taoist temples. Classical Feng Shui knowledge is conferred only by Masters and only to students who undergo years of training and demonstrate the wisdom to carry out the principles faithfully. It is only through these practitioners that the true power of this science can be realized - and the potential for disastrously oversimplified "Feng Shui" avoided. Q: How do I find a good Feng Shui or Vaastu Consultant? The key is to look for a practitioner certified in Classical Feng Shui. This immediately clears away the New Age school consultants and hobbyists whose over-simplified recommendations can prove so dangerous. This is vital: non-authentic Feng Shui deals only with surface energies, not the internal energies which are the root cause of problems. Even more alarming is that in the hands of amateurs, "cures" such as mirrors, crystals or water fountains can actually cause disastrous imbalances that manifest as illness, discord, financial loss and other negative situations. Like every individual, every home or office has its own "natal chart". If a consultant doesn't ask for birthdates, the date you moved into a property, the date it was built, etc. - the consultant is not practicing Classical Feng Shui. Another tip off is the type of compass the consultant uses. A Classical Feng Shui Consultant will use a sophisticated compass called a luo pan that has Chinese characters. Again, if your consultant uses any other type of compass (or doesn't use a compass at all), beware. Finally, you want more than a consultant who has simply studied Classical Feng Shui - you want a consultant who is actually certified. Worldwide, only a very few of the students who have studied Classical Feng Shui actually become certified. This is a crucial distinction because the authentic skills and closely guarded secrets of Classical Feng Shui can't be learned from books: they can only be conferred on students by a few internationally recognized Feng Shui Masters. Q: Where can I find and activate my "love" corner and "wealth" corner? First of all there is no universal love or wealth corner that exists in any environment. This is an oversimplified version of New Age Feng Shui that rigidly assigns life situations or directions to certain areas of your home or office without taking into account any other factors. Certainly, there are places in your home or office that are more conducive to "money" luck or "romance" luck but these areas are not the same for everyone. They are specific to each individual person. Q: How do I know if I have good Feng Shui and Vaastu or bad Feng Shui and Vaastu? Have you suddenly begun to experience a spate of bad luck? Have you recently moved into your current home and now you or a family member has become ill, suffered financial losses, or experienced career or relationship problems? In your business, do obstacles and set backs continue to block you no matter how hard you try to fix things? Then it's likely the energy of your environment is affecting you negatively. That's bad Feng Shui. A skilled practitioner can help you achieve good Feng Shui and good Vaastu by assessing the energy in your environment and making adjustments to bring the energy - and your life - back into peaceful, productive, and healthy harmony.